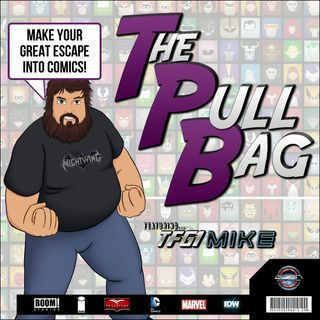 Explicit TPB – EP 121 – Batman Beyond Mark of the Phantasm! In the 121st episode of The Pull Bag we are wrapping up the DCAU Batman Beyond Comics from Kyle Higgins. Steve Megatron and TFG1Mike take a look inside DC's Batman Beyond 2.0 Volume 3: Mark of the Phantasm! And always remember to MAKE YOUR GREAT ESCAPE into Comics!!!! The post TPB – EP 121 – Batman Beyond Mark of the Phantasm! appeared first on GeekCast Radio Network.